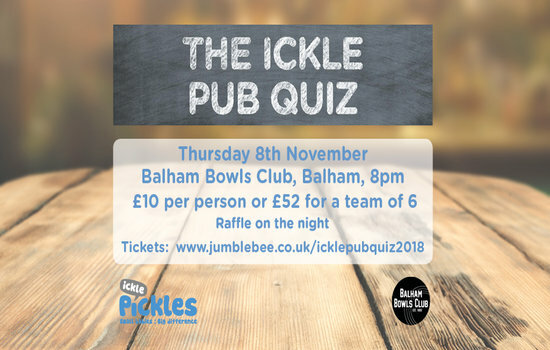 We had a fantastic turnout at the Ickle Pub Quiz - 120 Quizzers packed out the Balham Bowls Club in another sell out event. This Quiz introduced some practical 'hands on' activities which went down a storm. We're delighted to announce that this was our best return yet with £1982 raised! Thank you to everyone who donated, supported and attended the night.